We support JPEG, PNG, BMP, JPG images. Files must be no more than 4MB. Like wire wrapped earrings? If yes, you can see here and I am going to share you a Pandahall tutorial on how to make wire wrapped earrings with pearl beads. Interested in bib necklace? 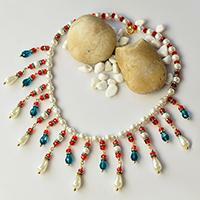 Now, follow me to check this Pandahall tutorial on how to make elegant drop glass and pearl beads bib necklace. Want to try a Pandahall original project? 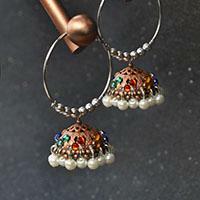 Then how do you think of this original project about how to make Tibetan pearl and rhinestone hoop earrings? © 2003-2018 ePanda CO. LTD. All rights reserved. Get loose beads in bulk from top China beads wholesaler online at cheap price for jewelry making. Secure! I would like to subscribe Learning Center Newsletter on brilliant craft tutorials, creative ideas, inspiration and more essence.